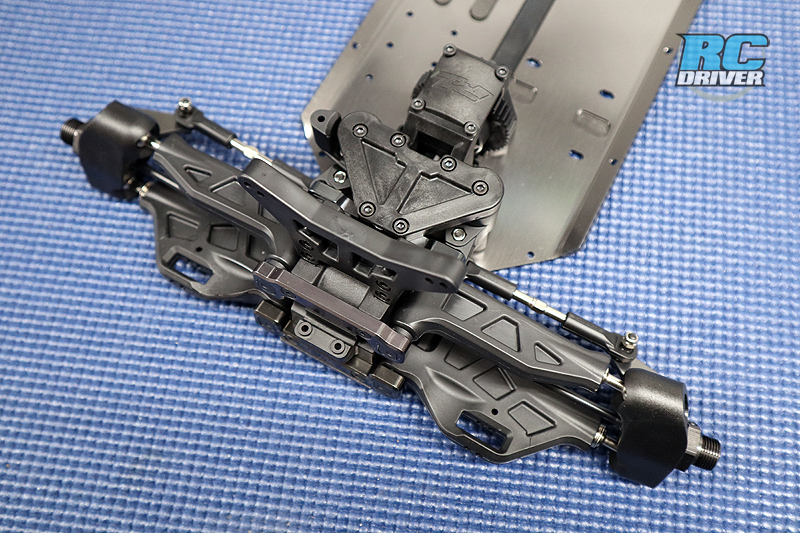 Now we’re getting down to the details of the build on the Pro-Fusion SC 4×4. 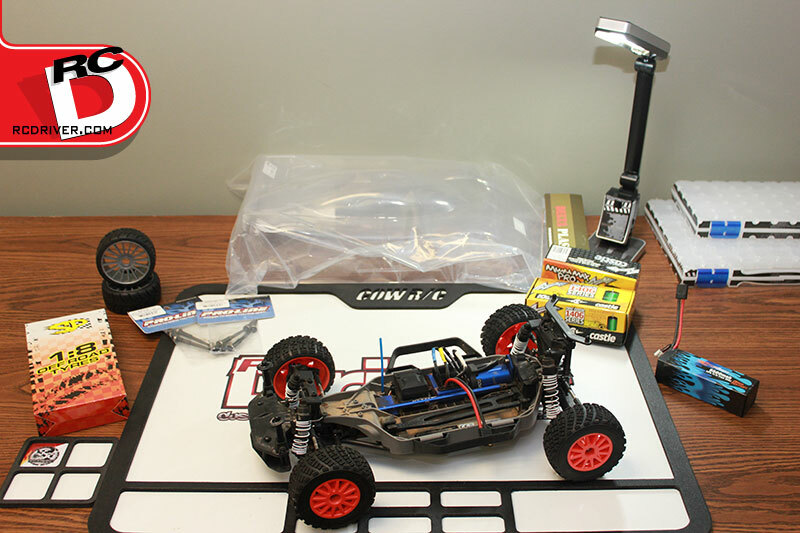 This time we’re dipping into Bag H. With this part of the assembly we’ll install Pro-Line’s awesome Pro-Loc body mounts, install the battery retaining system and even drop in the steering servo. 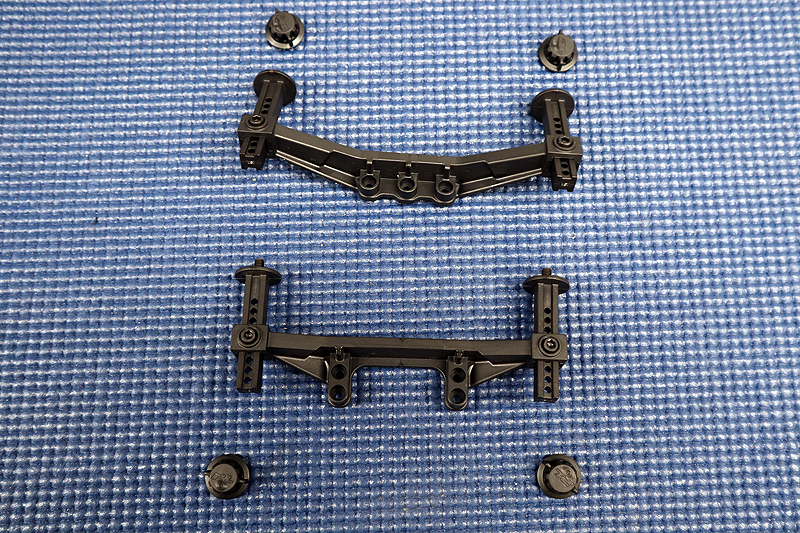 The body mounts are very adjustable to suit all sorts of bodies and there is a “thumb nut” to secure the body instead of body clips. 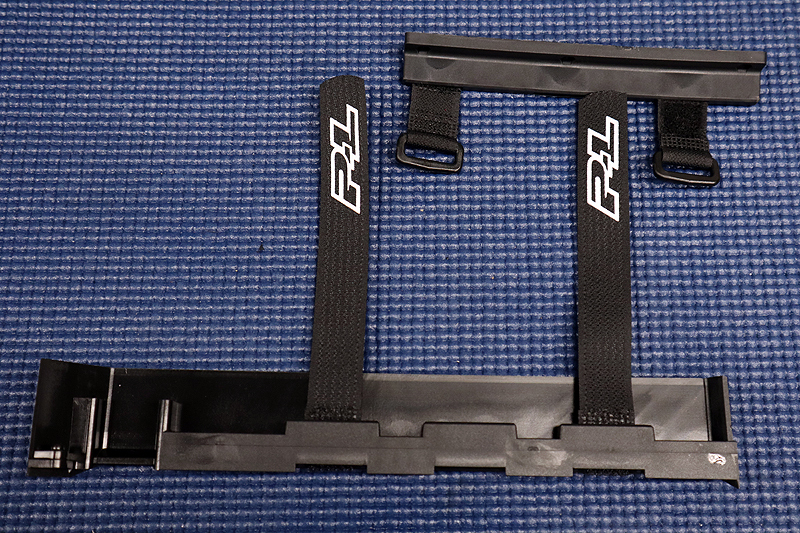 The battery straps are velcro and they can be adjust to fit anything from a 2S-4S LiPo battery. Build time! 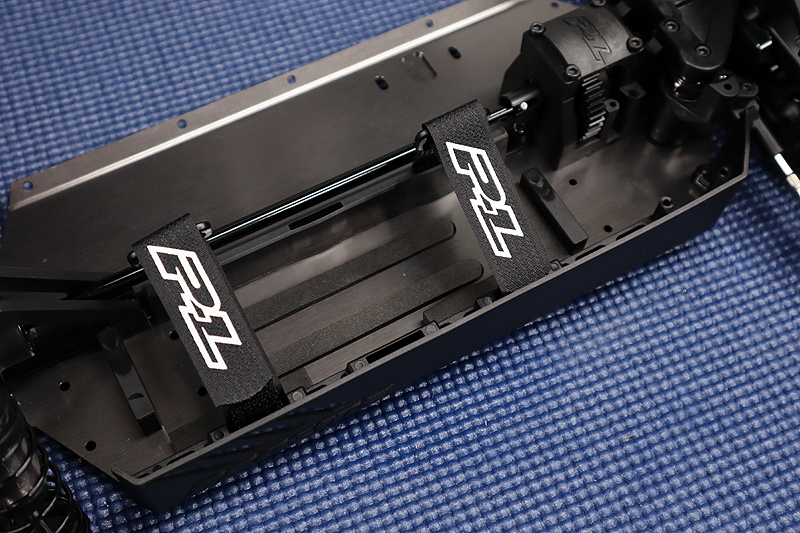 Here are the Pro-Lock body mounts. Set-screws are screwed into the tops of the posts and o-rings slipped over them to provide a bit of cusion. We just placed the posts into the mounts at a random position at this point. We’ll set their height properly once we go to mount the body. 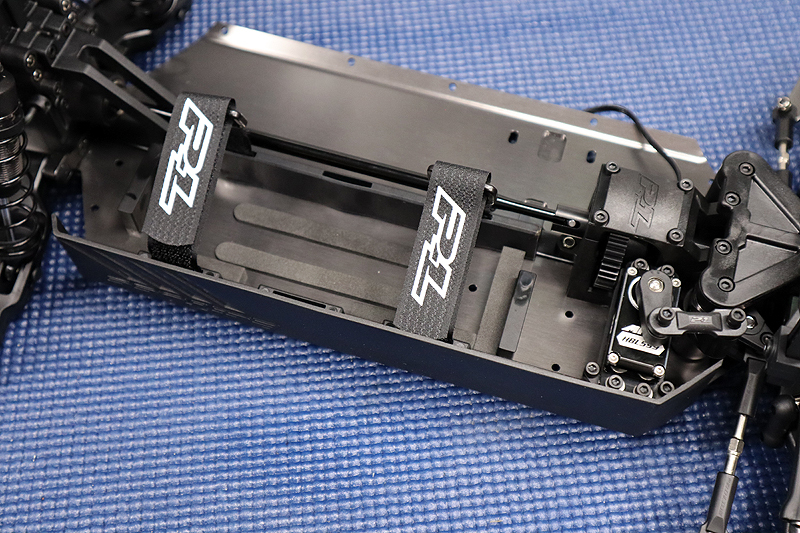 Quick view of the body mounts installed. 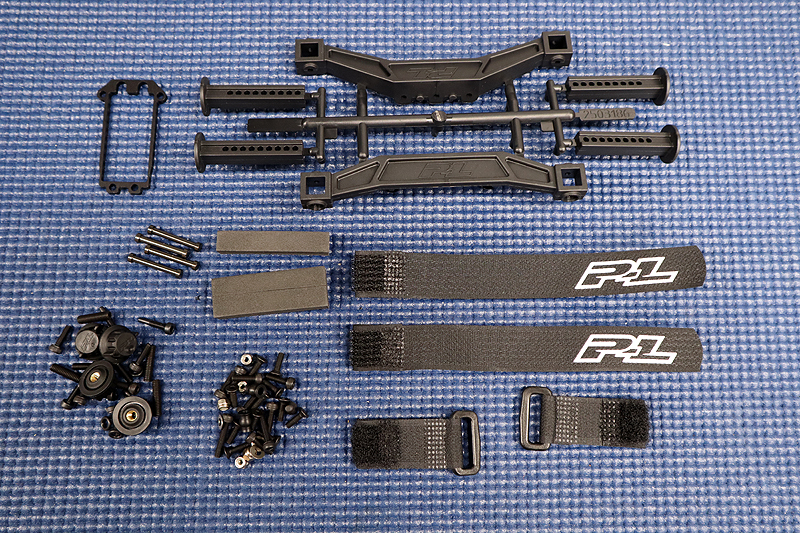 Here are the battery straps prepped for install. Slide the velcro strips half way into the mounts. Then slide the aluminum pins into the loops in the straps and pull them into the mount. Friction will hold them in place. This is how the battery straps should look once installed. The servo is installed in its mount next. 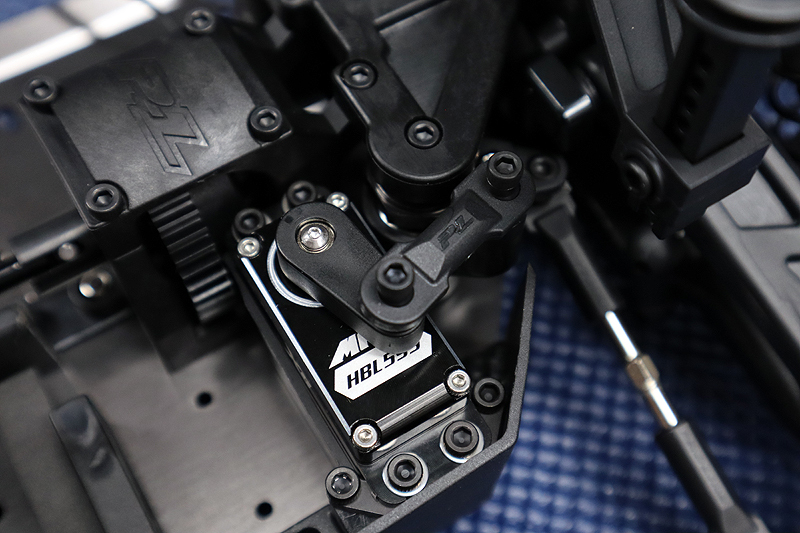 We’re using an MKS HBL599 servo. 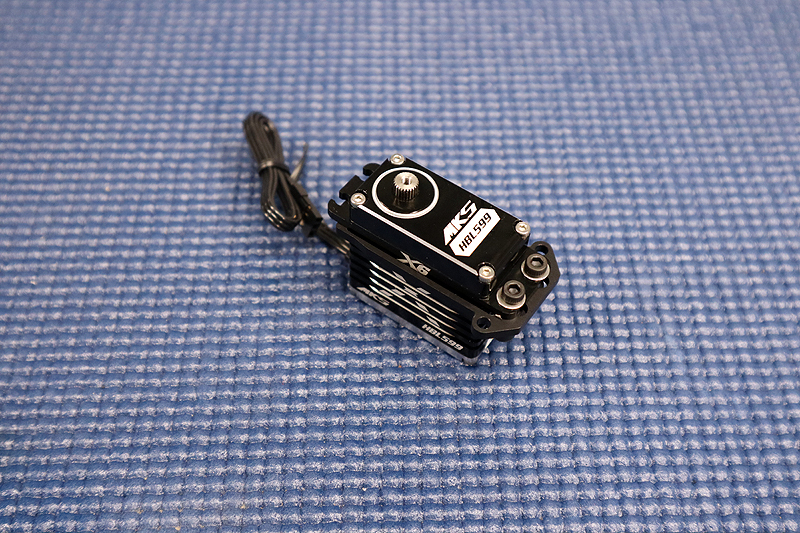 This servo has tons of torque, metal gears, aluminum case and is fast too! Secure the servo to one side of the plate as shown. 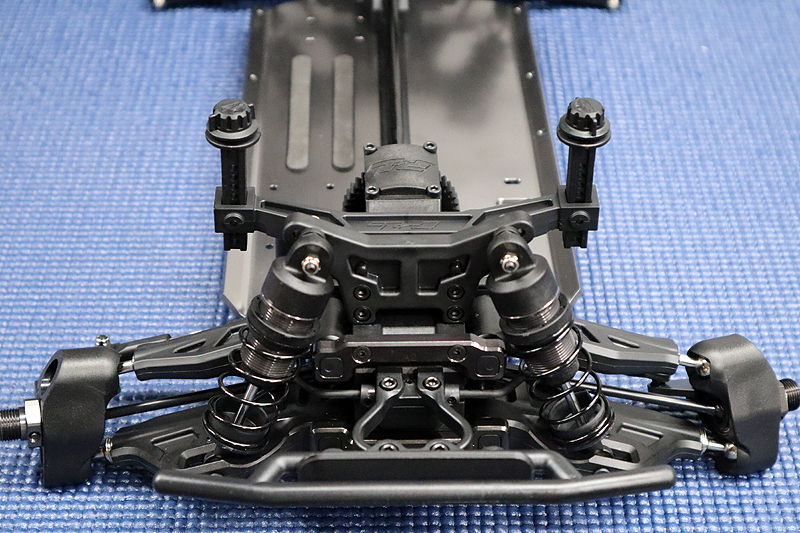 Slide the servo lead wire under the center diff and drop the servo with plate down into the mount on the chassis. Use the supplied screws the secure the servo tray at all four points. 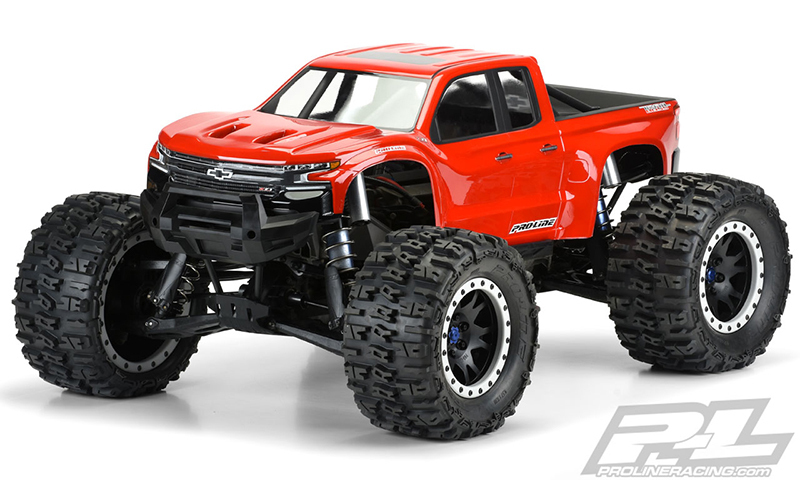 Choose a servo arm that fits your servo and install it along with the short steering link. Note: Center the servo before installing the horn. 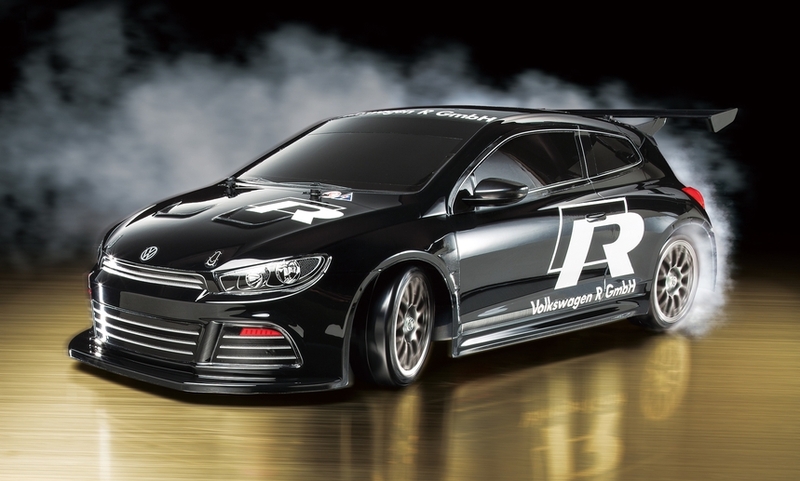 The horn itself will be on an angle. It should be parallel with the servo saver bell-crank. More quick and simple assembly. We have had questions asking what happens to the servo wire, does it get secured somewhere? No, it just sits at the bottom of the channel. 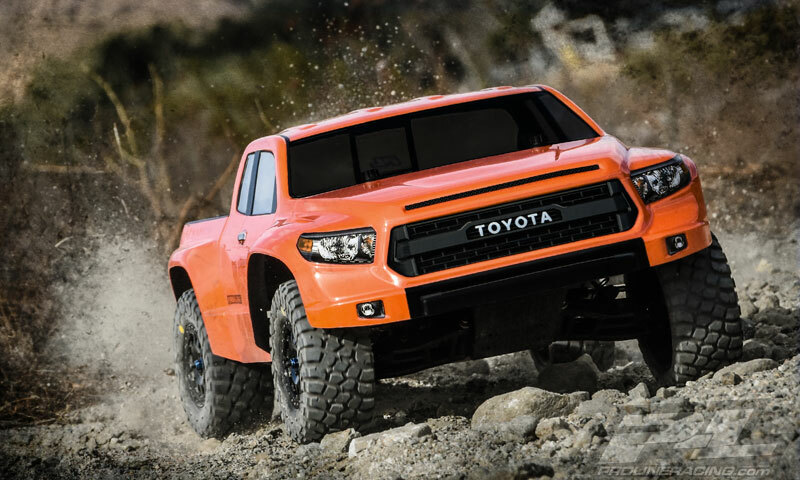 The wire on our Pro-Line Pro MT 4×4 never moved and we don’t suspect it to move here either.